The Backlash Over Our Bus Plans Shows Sevco’s At Its Paranoid Worst. Like children, more and more every day, they wail when they don’t get their own way or when the world does something they disapprove of or dislike. Tonight it’s Celtic and Glasgow City Council getting it in the neck. 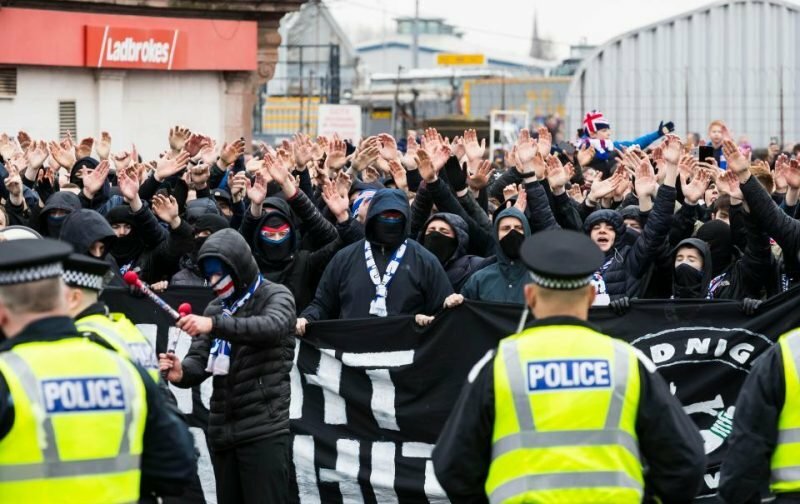 Tonight Sevco’s supporters are at their running worst, almost united – and utterly unspooled – in the belief that our planned open top bus ride at the weekend is intended for one purpose; to spite them. Well, it wasn’t intended to do that. But it’s undoubtedly done it just the same. And I am glad for it. What will, if it happens, be a celebration of our own achievements will, to them, be a dagger in the heart, something done to make them feel small. I have news for them; they will feel small anyway. And not because we made them. That realisation growing in them is that they are small now. They are in our shadow. And although they are puffing themselves up with the usual supremacist guff, they are staying there and they sense that even if they don’t wholly know it yet. This is what seven in a row has done to them. This is the real impact of 2012. We have broken this lot. We have demoralised them so completely that not only do they feel every sting of defeat, but they see things that aren’t there. They dream up conspiracies where there are none. They see shadows everywhere they look and as a salve against a reality that makes them feel so dreadful they’ve retreated into fantasy. That’s a community on its knees. They are on the brink, and our success has put them there. Not intentionally; we are interested in ourselves, and not on what impact we have on them or the wider world. But they definitely feel their own pain. And that would be fine, and it would be normal even to feel a sliver of pity for people in such a wretched condition, but their embrace of lunacy and the central thesis they promote that the world hates them and that everything revolves around magnifying their pain makes them impossible to muster the slightest morsel of sympathy for. Instead, what I feel is contempt and dismay that such hateful beliefs are so prevalent amongst them. They have to snap out of this. They have to get over themselves. The rest of the world is not laughing, not at them, not at any part of this. It is disquieting to find such growing resentment and fury bubbling away. That leads to trouble in the end. And Celtic is aware of that of course, which is why the plans no longer involve a fuller and more open expansive display on the day of the Scott Brown testimonial. Having taken soundings on the matter Celtic does not want to be held responsible for trouble on the streets; the irony of that is that we wouldn’t have been. There is a section of the Peepul that is out of control and getting worse, and whilst I know Celtic did the right thing for the right reasons I cannot help but feel that far from deliberately insulting them we’ve pandered to that sensibility. I said it yesterday and I say it again tonight; the idea that Scottish football needs this, or needs them, is an obscene one. Their sense of entitlement is suffocating them. It’s not doing great things for the rest of the sport, or Scottish society, either.